Why Join Realty ONE Group Prosper? At Realty ONE Group Prosper, we're a family of equals who are proud of each other and what we are building and creating alongside ONE another. The success of our COOLture is supported by our philosophy that everyONE has a voice. By sharing a common passion with a positive attitude and igniting WOW experiences, we're creating raving fans who fuel our dynamic coolture as we paint the globe gold as ONE. 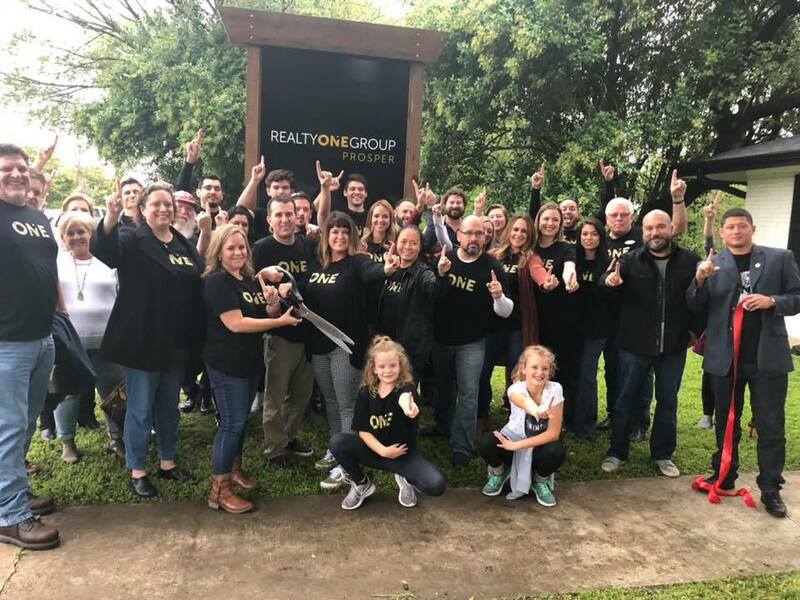 Realty ONE Group Prosper opened its doors in the Fall of 2018 in an effort to bring the agents of Central Texas a real estate brokerage unlike anything seen in this area before. Our staff is driven to deliver a COOLture focused on family, support, tools and training that will help you achieve your wildest dreams. Whether you are new to real estate or a seasoned veteran, we are here to empower you to grow and have fun because we are here to serve YOU. For more information please fill out the form below to schedule a one on one consultation. What is Realty ONE Group Prosper? Providing real estate professionals with the broker and technology support they need to succeed, while offering 100% commission rates, which is better than the conventional industry standards. Limitless access to tailored services and tools, which means you’re getting MORE for your money. Go ahead and do what you want, as much as you want. Realty ONE Group Prosper is a place where wonder grows freely! We’re building thoughtful relationships and experiences to elevate and empower professionals. As center of our core, we give Real Estate Professionals the choice, tools, and support, enabling the mindset to create, inspire, and embrace change. Our Buda Office is located at 305 Railroad Street, Ste A, Buda, TX 78610. You can see a walkthrough of our Buda office by clicking here! Our Austin Office is located at 4021 S. Capital of TX Hwy, Ste C, Austin, TX 78704. You can see a sneak peak of our Austin office by clicking here!